I have had a lot of fun experimenting with lentils these past few weeks. 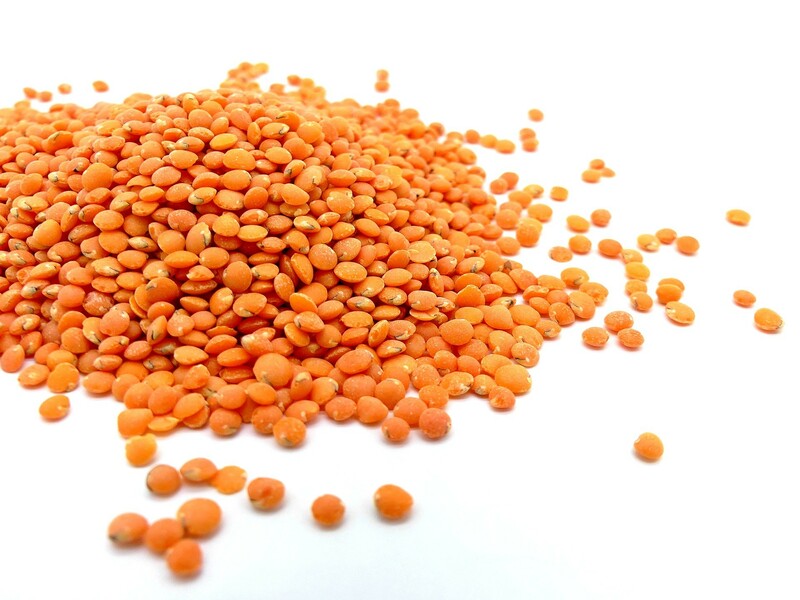 And my lentil infatuation is just as strong as it has always been. Though I am looking at them in a whole new light. Next up is my freestyle entry for the Canadian Lentil contest with the deadline for entries just under 24 hours from tonight. My recipe choices have been quite the discussion during morning coffee at work with my bosses, everyone has made suggestions as to what I should make next. I forsee a lentil feast at our next managers dinner. So without further ado…. 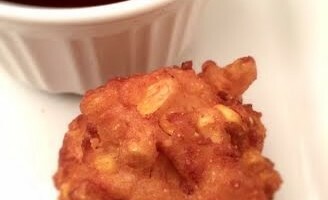 I present, Red Lentil Bacon Corn Fritters. 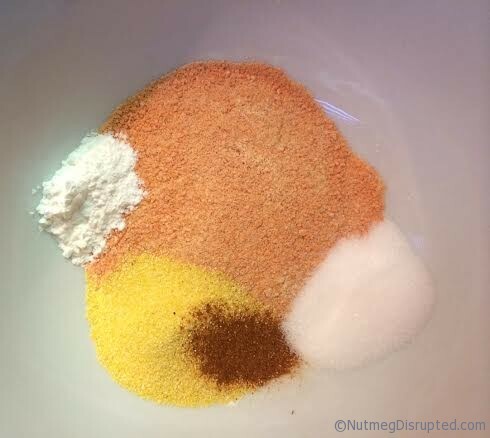 In a large bowl, stir together flours, cornmeal, sugar, baking powder and cayenne. Add milk and egg to flour mixture and stir together to create a batter. Add corn and bacon and fold to combine. Let rest for 5 minutes. Heat 4 inches oil in a large heavy-bottomed pot over high heat until a deep-fry thermometer reaches 375 degrees. Working in batches, using two spoons, drop batter by the tablespoon into the oil. Cook, turning occasionally, until cooked through and deep-golden brown, 1 to 2 minutes; adjust heat as needed to keep oil temperature between 350 and 360 degrees. Transfer fritters to a paper-towel-lined baking sheet. Season to taste with salt. I served them with maple syrup. 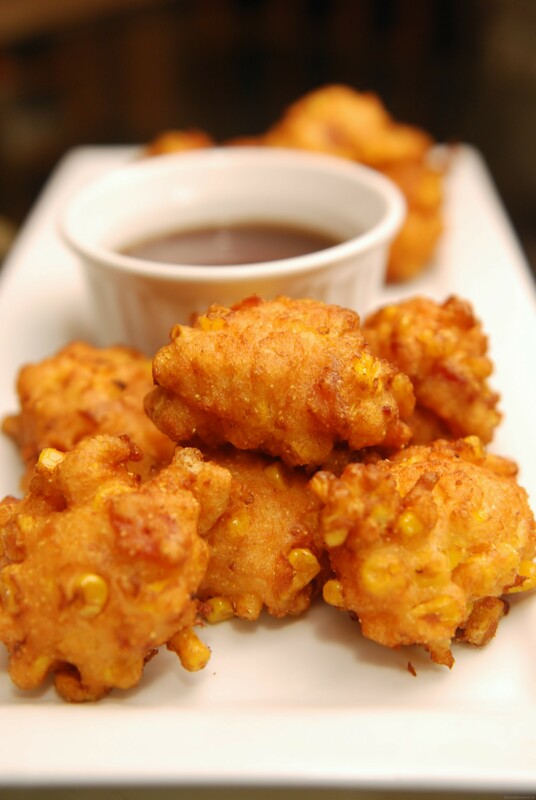 Depending on your mood and menu you could serve them with a variety of sauces or dips.